How is an audiogram created? 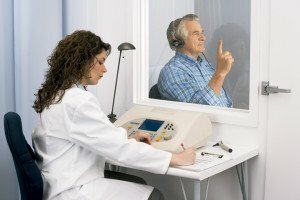 To measure your level of hearing, a hearing professional, will conduct a hearing test where they simply ask you to respond to a series of tones. Testing starts on one frequency at a volume you can hear. The volume (measured in decibels) is then decreased until you can no longer hear it, identifying your threshold. This brief process is repeated for both ears on 8 frequencies usually requiring about 5-10 minutes. The thresholds are plotted for both of your ears as two separate lines or on 2 different graphs. What does an audiogram show you? So, a hearing test, also referred to as an “audiometric test”, produces an audiogram (graph) which shows how loud a sound needs to be before you can hear it. On the audiogram shown here you can see the vertical lines represent the frequency (tone) measured and the horizontal lines display the volume (loudness) required. The higher up the chart the better the hearing, with normal being 20dB or lower. A person who has been injured by noise in the work place (noise induced hearing loss or NIHL) will first show a decrease in their ability to hear the high frequencies, such as 3,000, 4,000, 6,000 and 8,000 hz. As noise induced hearing loss can happen over time without the normal signs of an injury such as pain or blood comparing subsequent hearing test results is the only way to know if efforts to protect your hearing are adequate. To identify NIHL (noise induced hearing loss) on an audiogram you can look at the shape of the graph. When NIHL occurs the graph shape will be like a hillside – the steeper the hill the worse the loss. 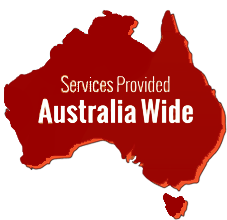 In Australia, workers can be legally compensated when the change from their baseline hearing test reaches 10%. A hearing test is an important risk management tool for workers and employers to prevent noise induced hearing loss. Risk management is particularly important because hearing loss is very debilitating to a person and their preferred work and lifestyle choices. It can cause isolation, embarrassment and the inability to hear dangerous situations. Hearing difficulty can be especially dangerous in the workplace. For example, not being able to hear a forklift moving around you. Noise Induced Hearing Loss (NIHL) is preventable and as a result employers are held liable if the correct noise risk management has not been undertaken. Legislation requires noisy workplaces to conduct hearing tests on exposed workers. Anitech Audiometric testing conducts onsite hearing tests for noisy workplaces helping clients to minimise risk to workers and to meet their legal occupational health and safety obligations.